my favorite thing on Shade right now is the Jean Skirt- LOVE IT! I plan on ordering it on Friday! I JUST subscribed via reader! I'm already of fan of Shade on FB! Now I'm your fan on FB! I'm signed up for the Inexpensive watches giveaway too! I just saw the peacoat at the store in St. George, I am in love with it! And now that its a little cooler down here I could really use it! Super great fit,plus style, and a fabulous price on clothing pieces, I love shade clothing! I love Shade and I adore that Peacoat. My favorite item right now are the lace trimmed camis. I wear them under EVERYTHING! I subscribed to the feedburner- new subscriber! I'm a fan of Shade on FB! My favorite item is the peacoat! My favorite item is the Plaid Tunic. I like the plaid tunic, and the drape front cardigan is super cute. I also love the new denim skirt from shade! I subscribe to frugal & fabulous via e-mail! I entered the inexpensive watches giveaway! Well the terry peacoat is my favorite, but that feels like cheating. I also like the cowl neck top. Super cute! I love the 3/4 sleeve v neck cardigan! I had to run out of the room b/c my son got into gum..did I say that i'm following? I'm lacey. I love the peacoat!! If I had to pick something else I would pick the plaid tunic. I am loving the turtleneck dress! I follow Shade on facebook as well! Love the plaid tunic and this terry peacoat! I love the drapefront cardigan! I am fan of Shade on Facebook. I like the V-Neck Placket Top. Seriously...that peacoat is so cute (I'd love to win it)! I like the drape front cardigan. I entered the watch giveaway. I LOVE LOVE LOVE the denim skirt! As a teacher with a dress code that requires skirts everyday, I practically live in denim skirts. This one is my absolute favorite! My name is Heidi Schick. Email: heidischick@gmail.com. I am now a follower of Frugal and Fabulous on Twitter! My favorite item is the double pocket tulip skirt!! So fashion forward for Fall! I Love it! I am also following you on Blogger!! I entered another one of your giveaways! The watch from inexpensivewatches.com. I love the lounge pant. I have found these to be a staple in my wardrobe as a mom, student, and housekeeper. I am a new subscriber so this is my second entry for subscribing to your blog via email. I followed both you and shade clothing on twitter. I am also a fan of shades clothing on facebook. I love the Drape Front Cardigan. 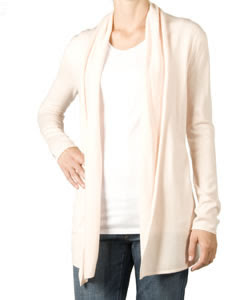 I just love the Drape Front Cardigan. My favorite is the terry peacoat... and the drape front cardigan. Oh so cute!!! I love the plaid skirt and the terry peacoat! I love this jacket--my other favorite is the 3/4 sleeve v-neck cardigan. So many options! Thanks! I love the Drape Front Cardigan! Thanks! I'm a Facebook Fan of Shade Clothing on Facebook! The 3/4 Sleeve V-Neck Cardigan looks great! I also entered the watch giveaway! I follow you on blogger now. I just subscribed via email now. I am a fan of Frugal & Fabulous on Facebook now. I follow ShadeClothing on Twitter @dopeymouse05 to both now. I follow lindsfrugalfab on Twitter @dopeymouse05. And my favorite thing - I'm actually loving that Terry Peacoat...it's so darn cute! My favorite is the terry peacoat, very chic! The peacoat is really cute! I also love their basic tees and camis. OK so I am in love with this coat! I also like the Dolman tunic. I love the v-neck cardigans! My daughter is 13 weeks pregnant - and I love the wrap top maternity top - but I like all their maternity line. I'm a new subscriber, a new follower, and I'd love the terry peacoat! *Your favorite item from the Shade Clothing web site! :Geo Print Tunic. Just entered your Kuru shoes giveaway! I like the cowl neck shirt. I just found your blog today via The Grocery Cart Challenge. I think I got to your blog via a comment you left her. I like the floral scarf. Great find! I really like the denim skirt and have been looking for one all fall. I just entered the kuru shoes giveaway. I like the Stripped Boyfriend Cardigan in the pewter combo. They have lots of great items - I really like the Turtleneck dress in heather black - thanks! I adore the V-neck placket shirt! my fav was the striped boyfriend cardigan. and my favorite item is the Lounge Pant with band. I love to Dolman Tunic in Black! I follow you and Shade clothing on Twitter! I'm a facebook fan of Shade! I am a Frugal and Fabulous facebook fan!